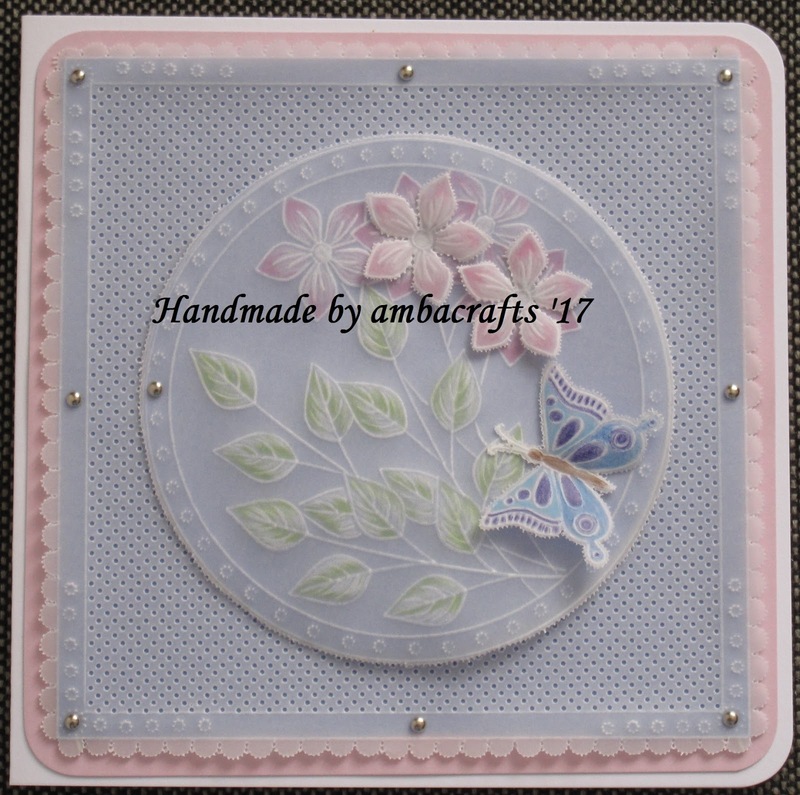 I made a double circle border and used some of the flowers and leaves to make my own design. 3d two flowers and a butterfly. small sun tool between the border lines. 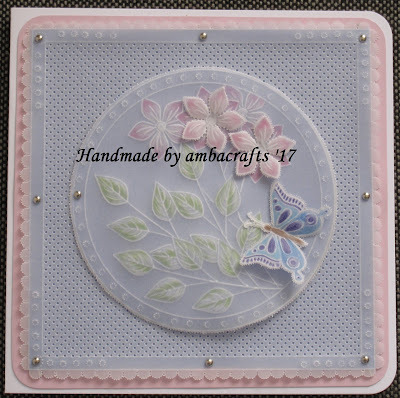 Picot cut the circle and coloured with W H Smith blendable pencils. semi circle perforated and picot cut the outer edge. Attached the square to some pink card with brads. Mounted the whole lot onto square card stock. Wow Alison this is such a stunner sweetie. Oh Alison what great colors and design.